The trailer doesn't show any gameplay, unfortunately, but it does give you a feel of what life in the Sanctum trenches is probably like: nonchalant and filled with whistling robots. Co-op play hasn't been officially confirmed, but the original featured online play for up to four players, so it's a safe bet the sequel will include at least that. 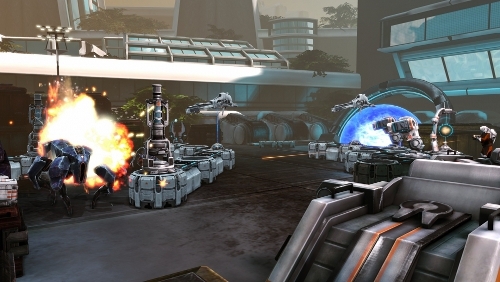 Sanctum 2 is scheduled for release later this year on PC, Xbox Live Arcade, and PlayStation Network. Page created in 0.4661 seconds.